The Voice had its first Battle behind the scenes for its "Comeback Stage" competition, and Savannah Brister went up against the duo Nathan & Chesi. While The Voice's Season 16 Battle Round is currently airing on NBC, the Comeback Stage competition has been unfolding off-camera, although viewers are shown occasional clips of the previously-eliminated contestants fighting for a second chance. Six artists who did not make a team in the Blind Auditions entered this behind-the-scenes competition guided and hosted by Bebe Rexha, and only three made the cut. Those three artists will now be pitted against singers who are ousted during The Voice's Battle Round, and Savannah, a 17-year-old from Memphis, TN, was revealed to be the first competitor. 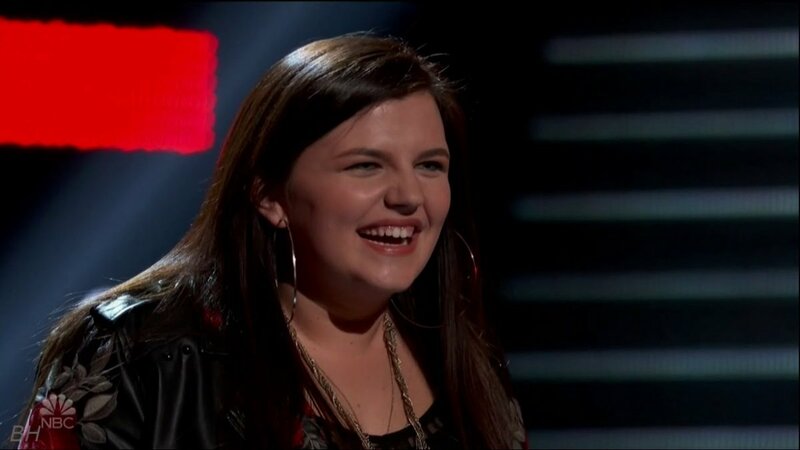 Savannah performed in a Battle on behalf of coach John Legend's team during Monday night's The Voice episode against Maelyn Jarmon, a 28-year-old from Frisco, TX. The women were asked to sing "When We Were Young" by Adele, and John ultimately named Maelyn the winner. But it was a surprise Savannah wasn't stolen considering her level of talent. However, Savannah still has a shot to get back in the original The Voice competition, and her Comeback Stage Battle was the first step. Bebe paired Savannah with a duo named Nathan & Chesi from Paintsville, KY, who had auditioned in the Blinds. Both artists were able to choose their own songs. In the end, only two artists from the Comeback Stage will win the chance to compete for America's votes and only one artist will win the final spot in The Voice live shows. In Savannah's backstage Battle, Savannah opted to sing "She Used To Be Mine" by Sara Bareilles, while Nathan & Chesi decided to perform "Drift Away" by Dobie Gray for Bebe Rexha. Did Savannah advance?! Watch The Voice video clip below to see the incredible performances and find out which artist or duo Bebe Rexha named the winner! 'The Voice' recap: Nine artists advance in Battles including Andrew Sevener, Abby Kasch and Jacob Maxwell!